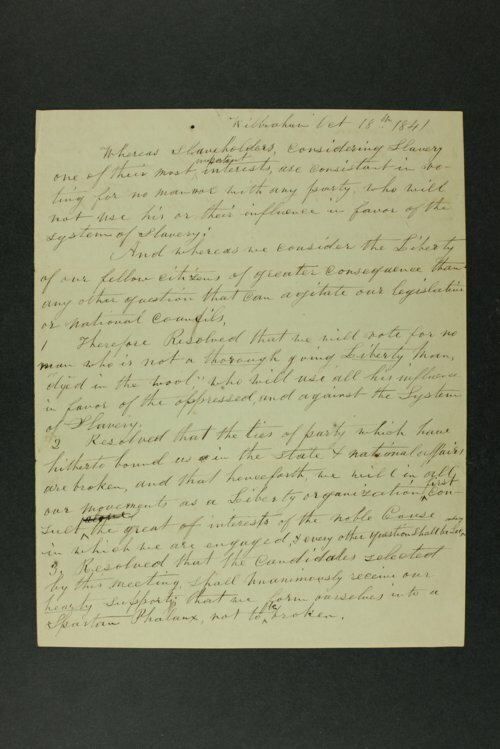 An anti-slavery resolution and constitution for a Liberty Association in Wilbraham, Massachusetts. At the time, Isaac Tichenor Goodnow was a professor at the Wesleyan Seminary in Wilbraham. He brought his strong anti-slavery ideals with him when he came to Kansas in 1855 with the New England Emigrant Aid Company. Goodnow was a co-founder and the first president of Bluemont Central College in Manhattan, Kansas.